Pursues me, as the waves blot out the shore. Dim memories of long-forgotten lives. From lips that smiled through gilded bars at night. You sit too long in worship of the dead. In costly honours to insensate dust. Away from jungles of the ancient sin. 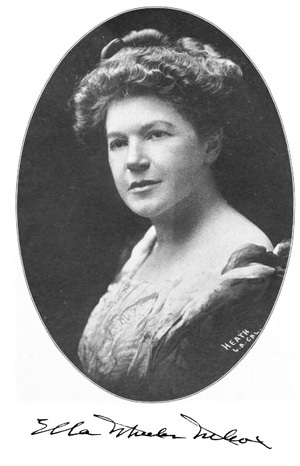 Ella Wheeler Wilcox visited Japan as part of a year-long, round-the-world journey with her husband. Other places she visited included India, Ceylon (Sri Lanka), Java and Burma. Amongst the places she visited in Japan was Kamakura and its great Buddha.